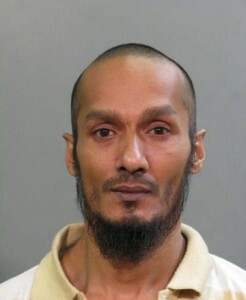 HICKSVILLE PATCH.- A Guyanese man who fled the country after he killed a 19-year old and injured another man at a Hicksville, Nassau County, New York wedding in 1999 faces 19 years in prison, Nassau County District Attorney Madeline Singas announced Wednesday. Balkumar Singh, believed to be 38 years old, pleaded guilty Wednesday to second-degree murder and first-degree assault. He is due back in court on Dec. 12 for sentencing. “[Singh] senselessly shot and killed an innocent teenager at a wedding because of a dance floor dispute, then fled the country to evade justice,” Singas said in a press release. Based on a tip, Singh was caught in Trinidad in 2015 and was extradited to the United States in August of that year, police said. The shooting took place at a June 13 wedding outside the Masonic Temple, located at 18 W. Nicholai Street, police said. Singh allegedly shot Abzal Khan, 19, of Queens, several times with an automatic handgun after the pair had argued, cops said. At least 20 people witnessed the incident, during which another 22-year-old man was shot in the foot, the DA said. Singh fled the country following the incident and, using multiple aliases, is believed to have spent time in Canada and Guyana before arriving in Trinidad, officials said.